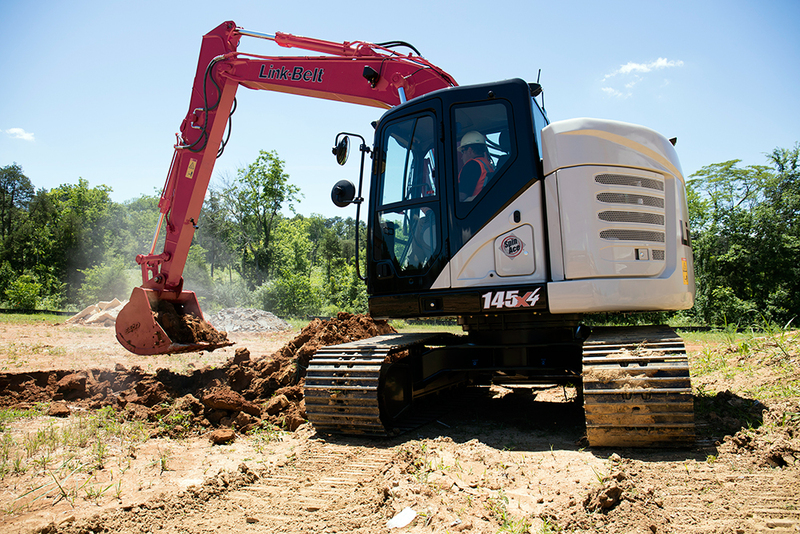 LBX Company announces the Link-Belt 145 X4 minimum-swing radius (MSR) excavator for the US and Canada, featuring an electronically-controlled 102 horsepower Isuzu engine that meets EPA Final Tier 4 requirements, without the need for a diesel particulate filter (DPF). The 145 X4 is easy to transport and versatile enough to take on a variety of tasks, such as water & sewer pipeline construction, residential construction, highway & street construction, excavation work and loading trucks. A dozer blade can be added to tackle more work. Fuel efficiency is also improved. The 145 X4 delivers up to 6% better fuel economy than previous models. It also features a 12 gallon DEF tank. The ROPS and FOPS-certified cab provides improved operator ergonomics and comfort. A large, automotive-grade high-back suspended seat offers unprecedented lumbar support, with tilting and heat available as options. Arm rests move proportionally with the console, which means that the distance and angle between joysticks and operator remains the same, no matter how the seat is adjusted. 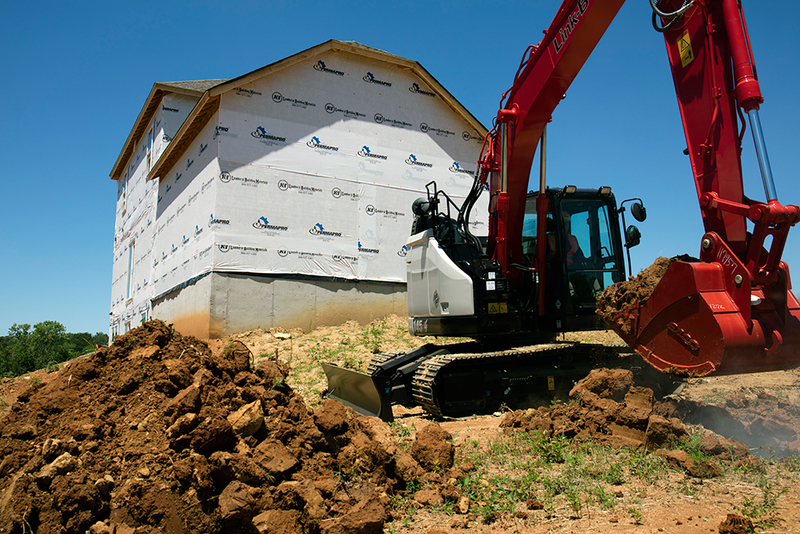 A large, 7-inch LCD color monitor allows the operator to easily navigate a full menu of user-friendly controls to take full command of the excavator and attachments. New features include Fuel Consumption Display, Machine Info and Time Setting. The standard rear-view camera is accessible through the monitor, displaying a panoramic view of the worksite from the rear of the machine, with sight guidelines that can be turned on or off by the operator. Rear and side lights can also be added to the camera system. Other notable new cab features include: dual halogen cab lights (with optional LED lighting); a cup holder and storage areas for cell phones and other small items; newly designed joysticks with easy-to-hold grip and radio mute buttons; new MP3 audio input, Bluetooth-enabled for hands-free communication. An easy to access standard pattern control changer makes every operator feel right at home. All X4 machines are backed by a 1-year/1,800 hour Full Machine Warranty, 2-year/3,000 hour Engine Warranty (2,000 hrs engine electrical parts), 3-year/5,000 hour Powertrain Warranty, 3-year/10,000 hour XtraStructure Warranty (exclusions apply: scrap, demolition, material handling, severe or extreme duty applications, non-Link-Belt attachments), 5-year/3,000 hour EPA Emissions Warranty and participation in the LBX Fluids Analysis Program for the duration of the Powertrain warranty. Extended warranty coverage packages are also available.